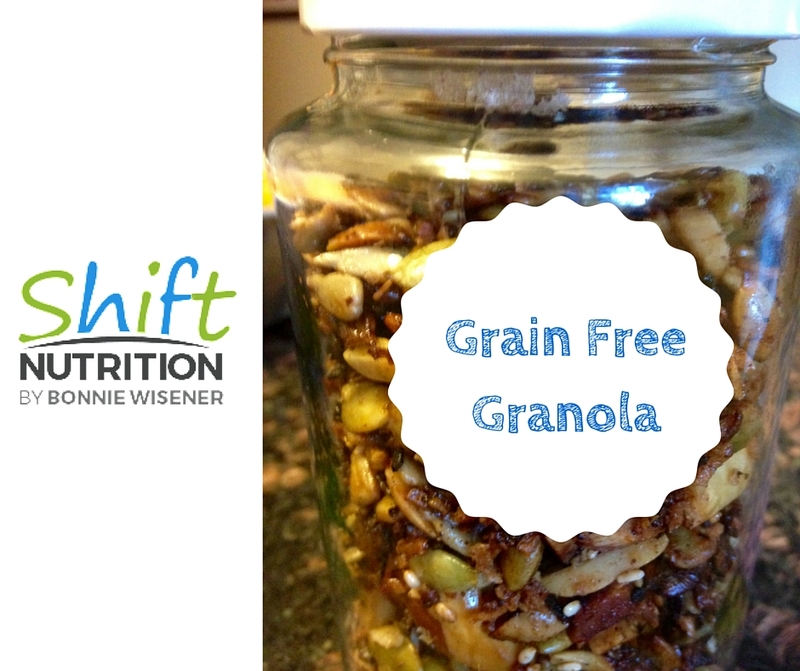 If you love the sweet and crunchy satisfaction of granola, but are trying to limit or remove the grains in your diet, then this recipe is for you (and me!). Place all dry ingredients in a bowl. Add coconut butter and honey and blend well. Drop raw granola onto baking sheet and spread it out evenly. Bake for 20 minutes. Check it at 10 minutes to make sure it is not burning. Keep in a covered container for up to 3 weeks. I am so glad that you are enjoying it. It is definitely one of the most popular recipes on my site and in my programs.